Iowa State had its chances to stare down Ohio State, overcome the Buckeyes and win the first round of the NCAA Tournament. 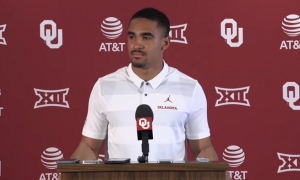 But their sharp shooting from the Big 12 Tournament wasn’t quite there Friday night in Tulsa, Okla. The Cyclones (23-12), a No. 6 seed, fell to the Buckeyes (20-14), a No. 11 seed, 62-59, in the Big 12’s second loss of the NCAA Tournament. Kansas State also lost earlier on Friday. But entering the second round four Big 12 teams remain in the NCAA Tournament. 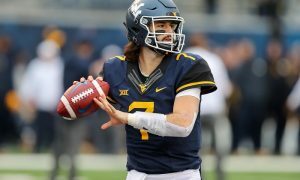 In fact, overall the Big 12 Conference has had an above-average three days of postseason action. Entering the NCAA Tournament Iowa State had designs on a second-round game. 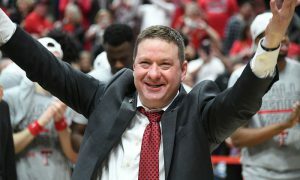 But their history in the first round, especially after winning the Big 12 Tournament — as the Cyclones did last week — hasn’t served them well as a springboard for the NCAA Tournament. 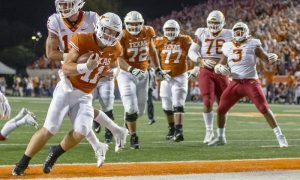 Like Baylor’s win on Thursday night, the Big 12’s nightcap in the NCAA was one of the most compelling games of the day. The teams were never separated by much in terms of points. Marial Shayok had a huge game, scoring 23 points (though he uncharacteristically missed the front end of a one-and-one in the final minute that might have allowed Iowa State to eventually tie the game). Lindell Wigginton (14 points) and Cameron Lard (12 points) had solid games off the bench. Wigginton hit a big 3 and drew a foul in the process. But the Cyclones had no real answer for Ohio State’s forward, Kaleb Wesson, who had 21 points and 11 rebounds. Just as significant was Ohio State’s advantage on the glass (38-31) and on the offensive glass (12-6). It seemed every time the Cyclones needed a defensive rebound they couldn’t get it. And Iowa State’s best rebounder this season, Michael Jacobson, had only 5 rebounds and was 0-for-3 from the floor. The Cyclones had one big chance in the final 23 seconds. Wigginton hit a 3-pointer to cut OSU’s lead to one point. After a timeout, the Cyclones nearly forced the turnover they needed, but Lard couldn’t corral the loose ball. OSU got two free throws from Keyshawn Woods, but it was still a 3-point Buckeye lead. OSU fouled Shayok, and Cyclone fans fully expected him to make the free throws. After all he was 88.3 percent from line this season. But, as mentioned, he missed the front end. Down 3 with 10 seconds left, Iowa State’s Nick Weiler-Babb fouled Wesson, who had gone 5-for-5 from the line. So he iced the game, right? Nope, he missed the front end of his one-and-one and the Cyclones still had a shot to tie. But Weiler-Babb missed the 3-pointer that would have tied the game and sent it to overtime. Meanwhile, Texas Tech (27-5) was only up by five points on Northern Kentucky (26-9) at the break, but the No. 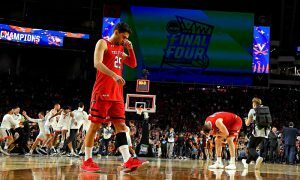 3-seeded Red Raiders ultimately pulled away for a 72-57 win over the No. 14-seeded Norse. 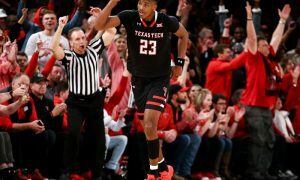 At one point in the second half the Red Raiders were up by 20 points, so once they built their double-digit lead it was never really in danger. 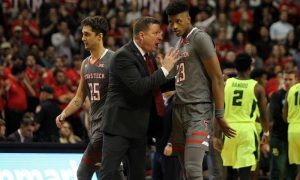 Jarrett Culver had 29 points, along with 8 rebounds, for the Red Raiders. Tariq Owens added 12 points and Davide Moretti had 10. As a team the Red Raiders shot 52.8 percent from the floor. The Norse shot 37.1 percent from the floor and had 17 turnovers. The Red Raiders will have their chance to reach the Sweet 16 for the second consecutive season when it faces No. 6 seed Buffalo on Sunday. Buffalo beat Arizona State, 91-74, on Friday. Oklahoma played well above its No. 9-seeding in a 95-72 win over No. 8 Ole Miss on Friday. I mean, if the Sooners (20-13) had played like this more often in Big 12 play they might have been a higher seed in the NCAA Tournament. But the win ultimately validated the committee putting Oklahoma in the field, despite a league record four games under .500. 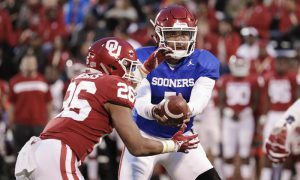 The Sooners dominated the Rebels (20-13). Christian James and Rashard Odomes each had 20 points, and James hit four 3- pointers. Forward Kristian Doolittle had a double-double — 19 points and 15 rebounds. Forward Brady Manek added 18 points. The Sooners were up 17 by halftime and nursed that lead for the final 20 minutes. It was really never in danger. Oklahoma will take on the No. 1 seed in the South Region, Virginia, on Sunday. 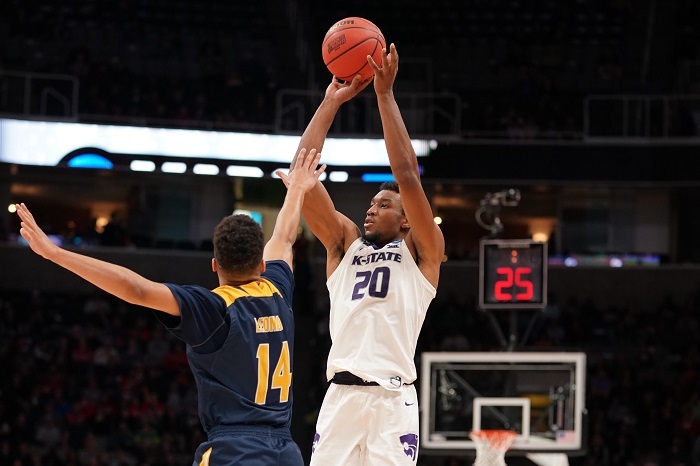 Kansas State (25-9) saw its NCAA Tournament end early with a 70-64 loss to UC-Irvine on Friday. The Wildcats, a No. 4 seed, were tied with the Anteaters (31-5), a No. 13 seed, before UC Irving grabbed the lead midway through the second half. George Cartwright’s 3-pointer with 7:31 left gave the Anteaters a 5-point lead. From there, they were able to remain the lead despite the Wildcats cutting the lead to two points twice, the second time on a Cartier Diarra jumper with 1:11 left. After that the Wildcats forced a missed shot on the next possession and had a chance to tie. But Barry Brown Jr. turned the ball over, the Wildcats had to send the Anteaters to the free throw line and they went 4-for-4 down the stretch to ice the game. K-State shot under 38 percent for the game and it hurt them late in the contest. Senior Kamau Stokes led with 18 points, while Brown had only 5 points on 2-of-9 shooting. Forward Dean Wade did not play. The trio leave K-State as one of its best senior classes ever. The loss was the Big 12’s first in the NCAA Tournament. No. 9 seed Baylor (20-13) faces No. 1 seed Gonzaga (31-3) in a West Region second-round game at 7:10 p.m.